Feeling Bloated? Here Are Reasons Why! Abdominal discomfort, gassiness, or feeling bloated are common symptoms faced by almost one in every ten Americans. Although most of the time it might not be such a cause for concern, it is a good idea to understand the causes of bloating before it becomes too severe. Many a times people feel gassy or bloated after a heavy meal. Sometimes, it may feel like excess air is trapped inside your digestive tract (making you burp), or it can feel as though your belly is heavy with water or whatnot. Bloating, if severe, can cause distension or acute swelling of the abdomen and may pose a threat to overall health. Let’s find out the reasons of bloating and how they can be avoided by following some easy steps. Present-day life is all about rushing – rushing to work, rushing through chores, wolfing down meals, and rushing back again. Be warned though, gobbling food will mean you’re swallowing excess air which will produce gas and make you feel bloated. 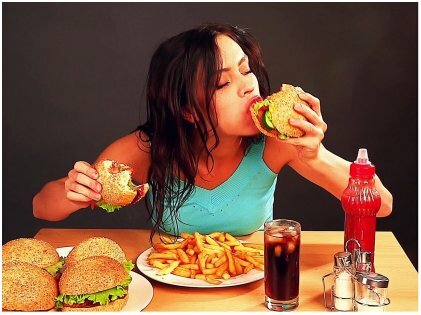 Moreover, eating too fast means food isn’t properly chewed and this will often leave larger particles sitting inside your gut that eventually won’t get digested. Aside from that, it can also lead to over-eating because your brain won’t be able to register that your stomach is already full. Remember to take time when eating and that one square meal must be spaced out for at least twenty minutes. These days, every drink is designed to be consumed through a straw. Be it coffee or tea beverages, smoothies, fruit juices or green smoothies, you’re more than likely to end up sipping it with a nice, fancy straw or two. Well, straws may be convenient, but they’re also major contributors to stomach discomfort. 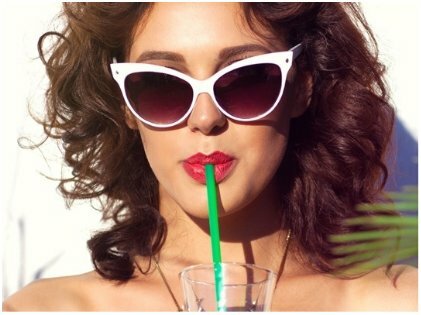 The reason is that sipping with straws forces a lot of extra air to enter your gut, no matter how slow or small the sip. The air that’s trapped in the empty part of the straw is quite impossible to avoid while sipping drinks, so it’s best to discard the straw and sip your drinks slowly from the rim of the cup/glass. Apart from the fact that it’s bad for your teeth, gum and hard candy can actually accentuate the feeling of being bloated. 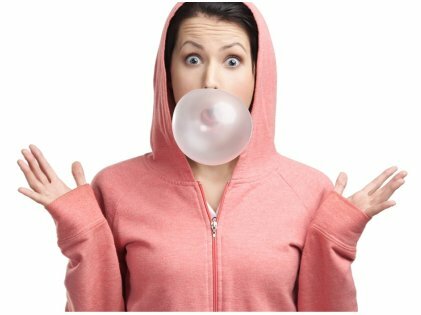 Chewing too much gum can inadvertently lead to swallowing excess air. The same goes for sucking on candy, and while these might keep your mouth occupied or prevent smoking, the frequent gulping of air will lead to an uncomfortably bloated gut. Instead, take frequent sips of water or chew on a healthy protein bar, bread stick or carrot. Drinking water frequently also keeps the stomach free of toxins, but remember not to overdo it and to take frequent bathroom breaks! It’s not just soda and carbonated beverages, gum or straws that cause belching, bloating, and gas. The consumption of foods such as cabbages, brussel sprouts, prunes, carrots, and cauliflowers can cause one to feel bloated. 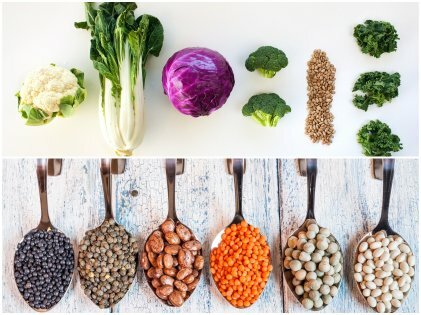 Pinto beans, kidney beans, black beans, red beans, legumes and lentils may be a source of high protein, but they are also a major source of gas as they contain oligosaccharides. But that doesn’t mean you should stop eating beans; have an over-the-counter anti-gas product after eating beans to remedy the discomfort. Processed food is bad, period! But the major culprit is, of course, the amount of sodium used as preservatives. 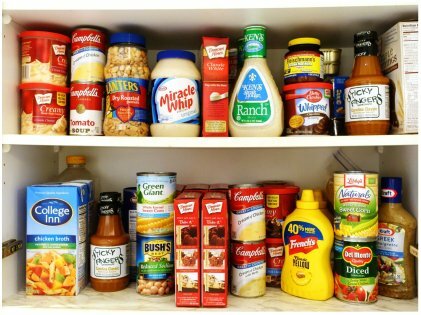 Crackers, crisps, chips, canned soups, ketchup, sauces, dressings, even cereals have a crazy amount of sodium even though they might not necessarily taste salty. Obviously, consuming over 2300 mg of sodium daily will lead to a plethora of health problems, not to mention, bloating. The solution, you ask? Cut back on processed foods and add healthy, low-sodium foods like fresh greens, veggies, fruits and grains, lean meats, eggs and fish. So while it might not immediately be a cause of concern, excess gas trapped inside your body is not just uncomfortable, it also poses a variety of health risks. Also, try to have an early dinner as eating too close to bedtime impairs proper digestion and often leads to gas build-up and bloating. Chew slowly, enjoy your meal, and remember to fill your body up with food at proper intervals as leaving yourself hungry will just mean, well, more gas and bloating, of course!